Every maker has a story. Be a part of RandallWear's story by placing an order, leaving a review, and seeing your review appear here. 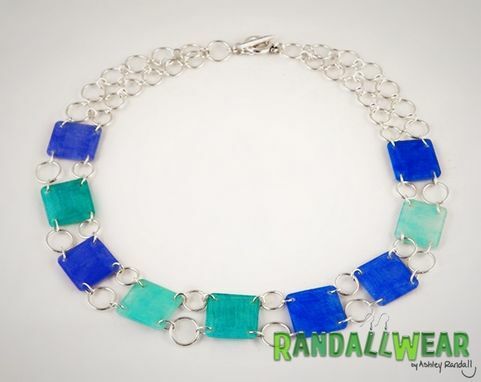 This unusual panel necklace is made from uber-lightweight shrink (Shrinky Dink) plastic. Each of the nine panels is colored to a mostly-opaque, Caribbean blue and teal. 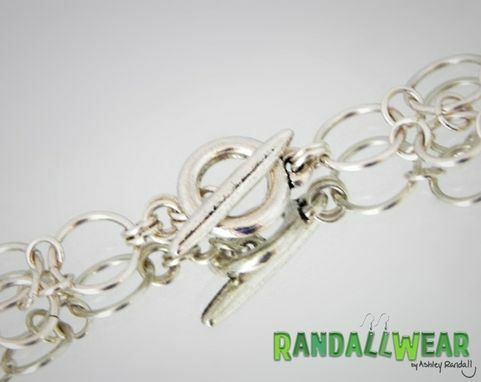 The whole thing is connected with shiny sterling silver jump rings. 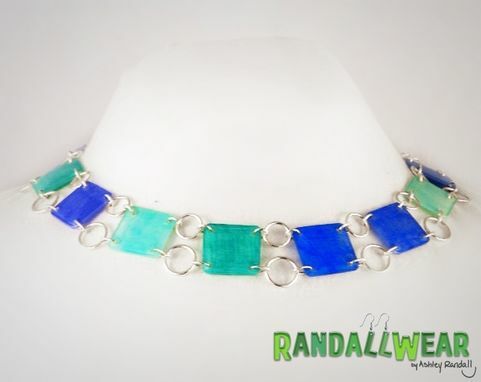 The necklace closes comfortably with a silvertone toggle clasp. 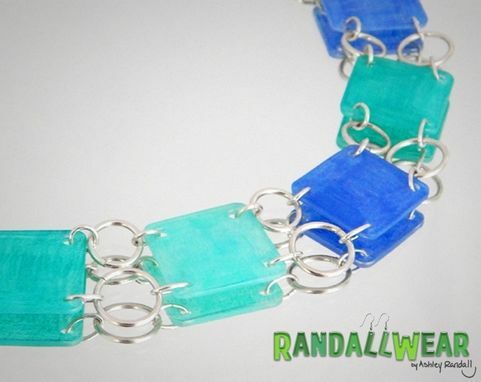 The necklace weighs practically nothing, and it's comfortable for all-day wear. It is a stunning statement piece to go with your favorite Little Black Dress, or anything flowy and beachy. You can even wear it with your favorite swimsuit! It hits right below the collar bone; it'd look particularly beautiful with a strapless or scooped neckline. I can do almost anything with this material; I've made earrings, necklaces, bracelets, keychains, a little of everything. While I tend to work with bright, highly saturated color, I can make colors, designs, anything you need.